By the age of 25 I was over 450 pounds! I suffered with chronic headaches, high blood pressure, and severe back pain. I could barely keep up when I went to nursing school. Clinical’s wore me out, so I missed classes a lot. I was about to get kicked out of nursing school due to my repeated absences, so I decided to go see a Doctor about getting the gastric bypass. During my consultation, the Doctor informed me that I was too big to get it done and that I needed to lose at least 50 lbs first. I left the office feeling hopeless. If I could just up and lose 50lbs why would I even need the surgery? Also, who knew that you could be “too big” to have weightless surgery? I was so confused after that consultation. I did end up graduating nursing school at the top of my class but it was painful due to my extreme size. I had to have my gown specially made for graduation. I was so big and out of shape, that by the time I finished walking the stage I was so out of breath that I had to pause walking back down the steps. I bent over and acted like I was picking up something off of the floor just to deep breathe and try to catch my breath. I decided right at that moment that my life shouldn’t be so miserable and that I was going to lose weight. After having the twins I weighed in at 545lbs. I was shocked when the nurse had to get a special scale to weigh me. I also needed a special bed that they ordered for me. When they rolled that bed into the room I thought that they had lost their minds! It’s no way that I was that big! However, once the four or five nurses helped me into it, I could hardly fit. My hips were touching both sides. All that I could think about was the shows like my 600lb life. I was now that person and it sickened me. I vowed to myself to get right back to losing weight and that’s just what I did. I got busy again counting calories. I worked hard going to the gym to do water aerobics and the elliptical. After a year I had lost 100 pounds but then it just stopped. I weighed between 430lbs 465lbs for 9 years. Always losing and regaining the same 25-30lbs. Always on a diet, counting calories. I stayed active but it wasn’t enough. I would still eat sugary treats. I would make it fit into my calories at times even if that meant that my only meal was donuts. I tried weight watchers, Jenny Craig, medifast, slimfast, lean cuisine, ect. I spent thousands on those programs yet always found myself back to cheating with sweets. On May 7, 2015, my darling husband of 10 years took his own life. He shot himself in the head behind his old church home. My entire world crumbled. We had been together for 10 years. Inseparable. I had no idea that he was depressed and suicidal! I beat myself up over it..how could I miss the signs? I became depressed and withdrawn. My life literally changed overnight. I didn’t have answers for the children, I didn’t know how I was going to keep our house or pay the bills. I missed my soulmate! People were so mean and negative and I had little support emotionally. My late husband had a huge YouTube presence and once word got out that he had killed himself, the nasty comments started. Even to this day it’s sad when one of my twins come to me reading some of it. I had to get away. I found myself having very dark thoughts and not wanting to get out of the bed most days. I knew that I had to do better. My children definitely were my motivation. They had already lost their father, I didn’t want them to lose their mother too. I looked up weight loss resorts and found one in Florida. I took my children and we left. We stayed there for 6 weeks. I had lost weight from depression and not eating so when I got to the resort I weighed 415lbs. While there they fed me 3 meals per day, 2 snacks and we worked out for a minimum of 3 hours daily. I also attended lectures and classes. By the end of the 6 weeks I weighed 398lbs. I felt better emotionally, and decided that I was ready to go back home to Virginia. Once back, I started researching everything related to food and exercise. I read a book titled wheat belly and it changed my life! The food industry can’t be trusted. Sugar is added to so many products to cause us to become addicted and to keep buying it. I also learned that counting calories will not always work if you are still eating foods that spike your insulin. So I gave up gluten and went low carb. I also started going to the gym 5-6 days a week. I did Crossfit, and worked with a couple of personal trainers. 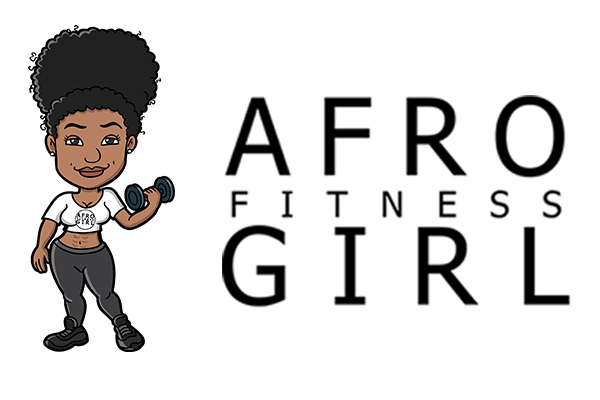 After a while though, I just stuck with exercises that I love which was and still is Zumba, walking nature trails, Nia, playing tennis, and bowling. I’m truly amazed at how far I have come and give all the glory and credit to God. Here it is my loves!! No magic answer just something that seems to be really hard for most….FASTING!! It goes by so many things, and there are so many different types. Intermittent fasting, juice fasting, water fasting, dry fasting ect. Yes, a couple of years ago I did keto and low carb. It helped me to lose about 100 pounds. However, even with that I fasted. I did not eat breakfast and would not have my first meal until after 1pm. Now, I eat one meal a day a few days a week. On the other days I eating nothing. My nutrition comes from fresh pressed juices at times and my own fat at other times when I’m doing just water. I do not share the exact times and days because it varies daily. You have to find what works for you. I do not exercise as much as I use to do to my work schedule. Right now I’m averaging 2-3 days a week of a hour at the least. Research fasting please and give it a try! It saves lives. I’m no longer pre-diabetic, no back pain or swollen extremities, can sit crossed legs on the floor. No asthma, can jog with ease, do Zumba for hours without stopping! No longer have to have clothes specially made for me since I went from a size 36 to a size 16. I can breathe!! It’s no longer a struggle to get air! How many of you take that for granted? All of that fat around my organs made life miserable. Of course I have another 80 pounds that I need to lose but that will just make things even better! There’s no turning back. I did all of this without pills or surgery proving that losing almost 300 pounds can be done naturally. Today I weigh 265lbs and I refuse to ever give up! My hope and prayer is that I can use my journey to inspire others to never give up. That even if it takes years, and many obstacles and unexpected life events, the end result is still so worth fighting for. My advice to everyone is to believe in yourself. This journey is mental before it’s anything else. Don’t let momentary pleasures derail your long term goals. Stay focused, stay disciplined, and fight for your life! What an amazing and heartbreaking story! I wish you blessings upon blessings in your life! Congratulations! She’s so resilient and a true inspiration! She really is! Kept getting serious blows in her life and somehow found a way to keep pressing onward and upward. I’m just rooting for her. I am sitting here in tears because even through your lifes onstacles YOU MADE IT! I have had such a hard time these last 2 years trying to loose weight & have gotten bigger in the past 6months, my focus has drifted and I loose my will power. I have a 7yo son & I keep telling myself if 4 noone else do it for him. This Was Very inspirational to read. Ppl keep telling me to have the surgery but I keep telling myself that I can do this will out pills & without surgery. Thank You So Much for sharing your Journey. I KNOW I CAN. this is truly an eye opening motivational article. THANKS AGAIN! Yes you can! Try not to think too far down the road..take it a week at a time. Be kind to yourself..as weight loss takes time. Can you look into finding an accountability partner?